It’s tradition that when you visit someone’s home for dinner, you bring a little host/hostess gift. For my last dinner party, my guests brought me a gift from their garden. 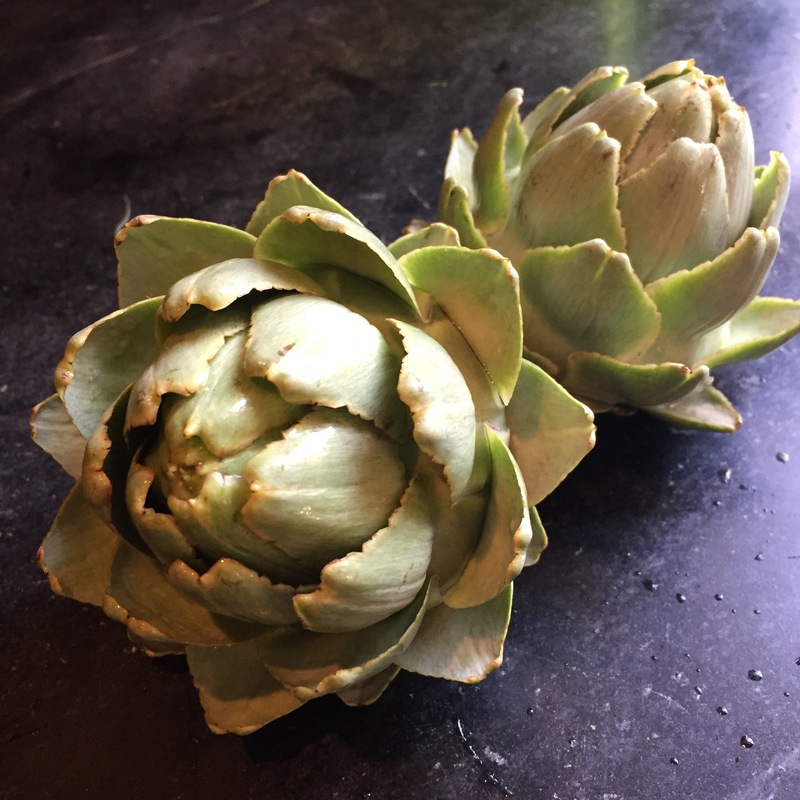 Two perfect little artichokes. Artichokes are pretty special because one plant doesn’t bear that many of the little gems so I really wanted to honor them. 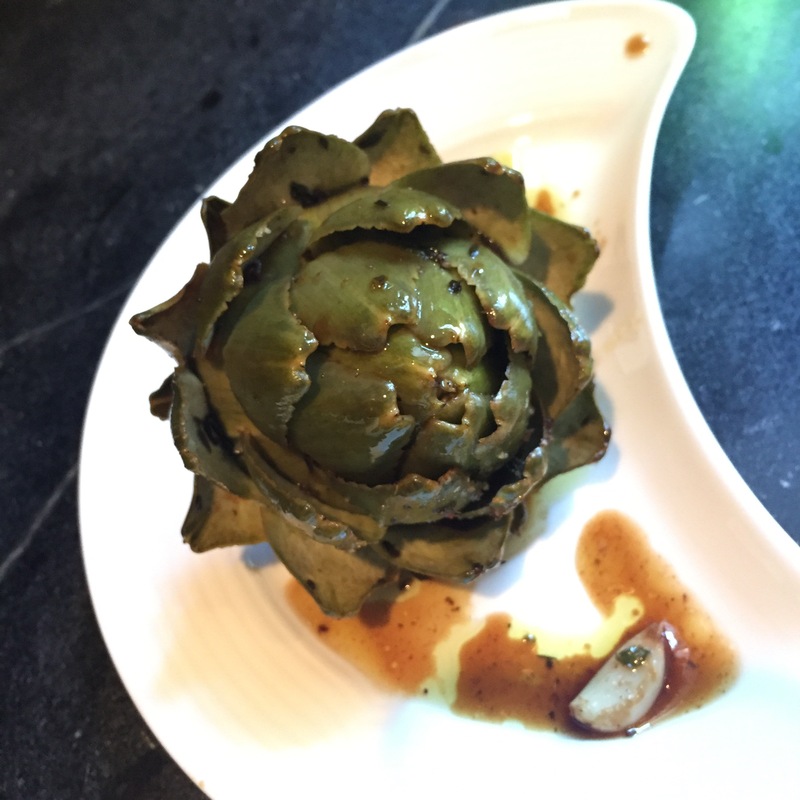 I love a simple steamed or grilled artichoke with mayo or butter. These little beauties needed a little something extra, though. So, I decided to braise them. OMG. I think I may have found my new favorite artichoke. What a nice gift to have received! Fill a pot that will fit your artichokes with 1/4 inch of water. Place the thyme and garlic in the water. Put the artichokes on top of the thyme. Drizzle with olive oil, and sprinkle generously with salt & pepper. Turn the heat to high and bring the water to a boil and cover with a lid. Reduce he heat to low/medium low and continue to rotate the chokes so the bottom leaves are evenly browned. Add more water if it gets too low. Braise for 30-40 minutes until the leaves are tender. Spoon the braising liquid with garlic cloves over the choke to serve. Smash the garlic into the center of the choke after the leaves have need eaten.